This recipe for easy to make cookies are perfect for keto dieters looking to enjoy something tasty that will keep you in ketosis. Our Tru-Nut Keto Collagen Protein Powder is the perfect addition to add flavor, along with much needed collagen and MCT oil. Combine all ingredients into medium sized bowl and mix well. Scoop small, 1-inch balls of dough onto a nonstick or parchment lined baking sheet. Flatten balls into disc shape. 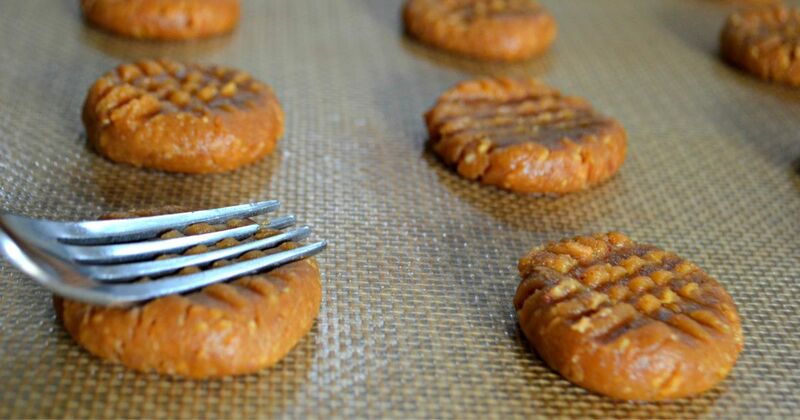 If you’d like to add the signature criss-cross pattern to your peanut butter cookies, push down on a fork in a crossing pattern on top of each cookie. Bake for 12-13 minutes or until edges darken.